Megan Grindell is a specialist in the areas of fraud and ethics risk management, corporate governance and labour relations. She has in excess of 20 years’ business experience in both large multinationals and consulting organisations. Megan is a Certified Ethics Officer and a Certified Fraud Examiner, and holds qualifications in the HR field, labour law and business analysis. She is a seasoned trainer and research practitioner. She has presented on various fraud, labour relations and ethics topics at a number of industry forums. 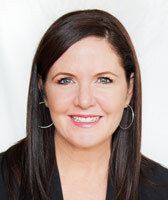 Megan has worked extensively in 12 countries: across Sub-Saharan Africa, the Middle East and the Indian Ocean islands. Her ability to work across various jurisdictions and cultures has ensured her ability to develop and maintain astute and adaptive ethics, governance, labour relations and investigative policies and methodologies.